Salty Journal, Salty News, salty places. My first association with skateboarding – honestly – is pain. For many among my circle of friends including surfers, sport enthusiasts and adventurers, skateboarding is fully admired but also greatly respected considering the required dedication, patience and pain threshold. 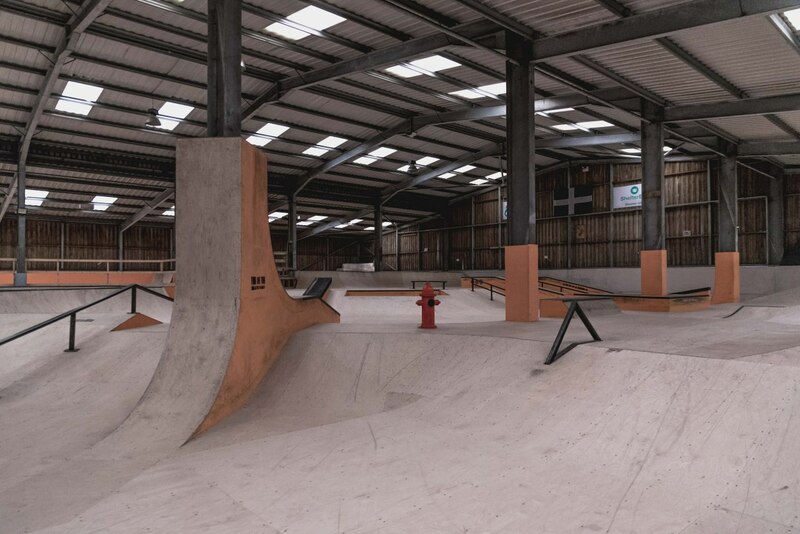 So once I heard we were heading off to visit Mounthawke Skatepark during a visit in Cornwall – Cornwall’s largest indoor skatepark in a 22’000sq m purpose built warehouse – I was scared and super stoked at the same time. Great, how the magic of group dynamics make you do things you alone wouldn’t have even dreamt of! Ciaran Ryder, owner and good-hearted soul of the skatepark, warmly welcomed and equipped us with all skate material – and off we went. 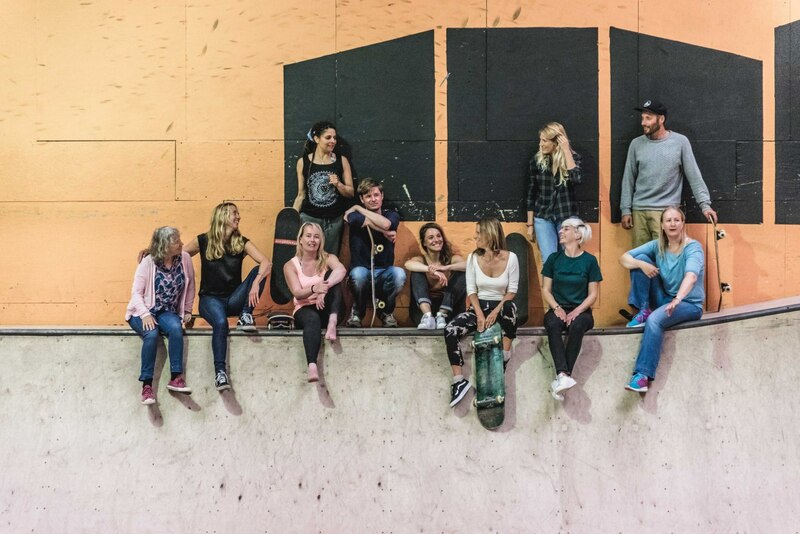 The skatepark’s layout is ideally set-up for both, professionals (we avoided those areas…) and absolute beginners, where most of us, being on a normal skateboard for the first time, rolled away quite successfully. Stoked eyes and excited laughter convinced the last ones of the group to give it a try. (1) I never thought I would enjoy being on a skateboard in a skatepark so much! Do many beginners come to visit? More and more people are picking up a deck for the first time, and at all ages. We are lucky in Cornwall that board culture is woven into the fabric with the surfing heritage which obviously being so entwined with skating definitely helps promote people to come here. Its a big step walking through into any place where you’ve never been before but we have an amazing bunch of locals who make people feel welcome and share their passion and knowledge. (2) What about women in skateboarding? Now being an Olympic discipline did you notice an increased interest in skateboarding? 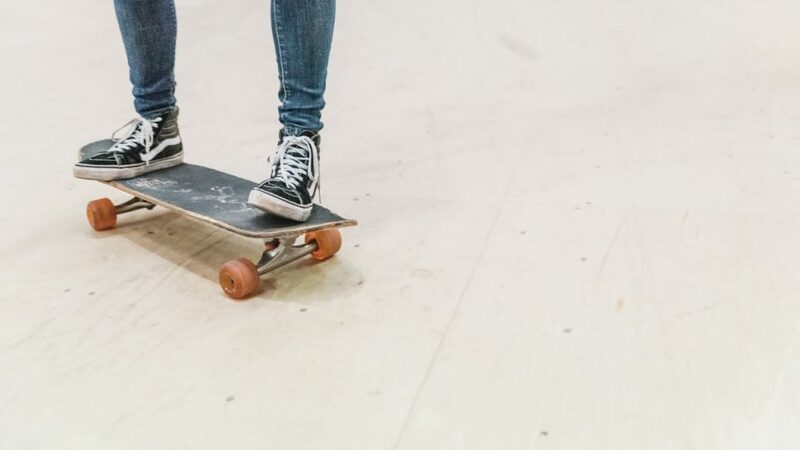 For the last 4 years, we have run girls only skate nights which have been a success that they are just fully integrated with the guys which was always the ambition. Young girls also seem to have a steeper learning curve than boys as they listen and practice what the coaches tell them ……where boys have a just a bit more bravado. There are at least 2 young girls in the area who have 1 eye on the 2024 Olympics already. (3) How did you discover the place and got involved? I simply spoke to the users and long term staff about their concerns and went from there . We concentrated on building the best park possible again with the resources we had before looking at other development projects. (4) And what are your plans and your vision for the place? We are currently into our 2nd year of a 5-year development plan – we have fully completed the interior park which has had great feedback and opened our surf academy on Fistral Beach, dance studio and our trails area for bikes. Future plans involve building an outside concrete plaza, pop up business park for young start-up companies and eco-pods for glamping. All of the above hopefully provides opportunities for people in an area which despite being beautiful has one of the lowest household income rates in Europe. The park really is part of the community and we now have the earliest riders bringing their own children here and riding together — that’s one of the best things seeing generations share a passion. (5) And one last question…. How do you overcome the fear in skateboarding? Any recommendations? The fear you have is nothing compared to the guilt you will carry if you don’t try!! As with anything, it’s a stepping stone process to get you to the level you want to be and requires commitment and the knowledge you will take a couple slams – but if you learn to fall you will be ok. I think its one of the reasons there’s so much camaraderie between skaters across the globe as they have all at one point face that fear of dropping in for the first time, and conquered it. That’s the stoke !! Thanks Ciaran, we had a blast!